This is a description of how to install and run the Shared Code plug'in. It should guide you to having a working SCP demo in minutes. 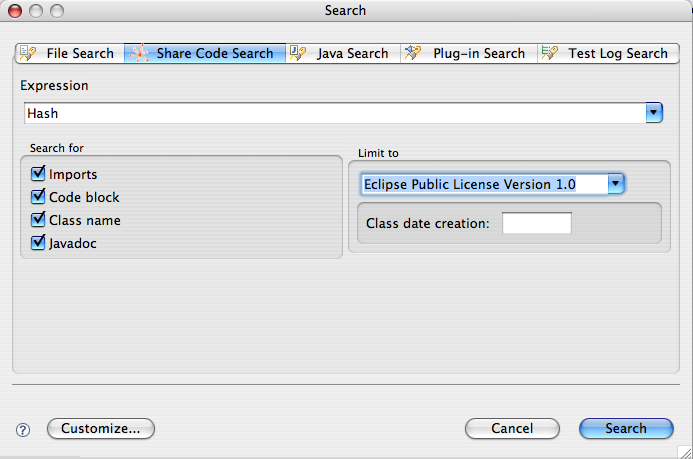 Get the plugin Shared Code from anonymous CVS on soc.eclipse.org and path = /cvsroot/org.eclipse.soc/ org.eclipse.ecf.example.sharecode. First, get the plugin from anonymous CVS. 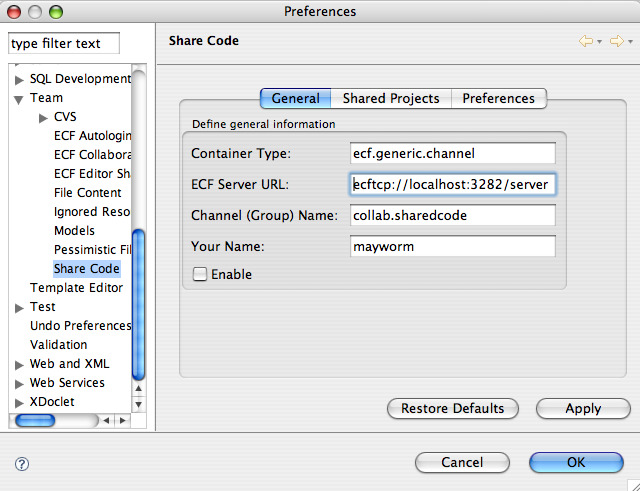 See the ECF dev resources page for a description of how to get this plugin and the necessary dependencies. 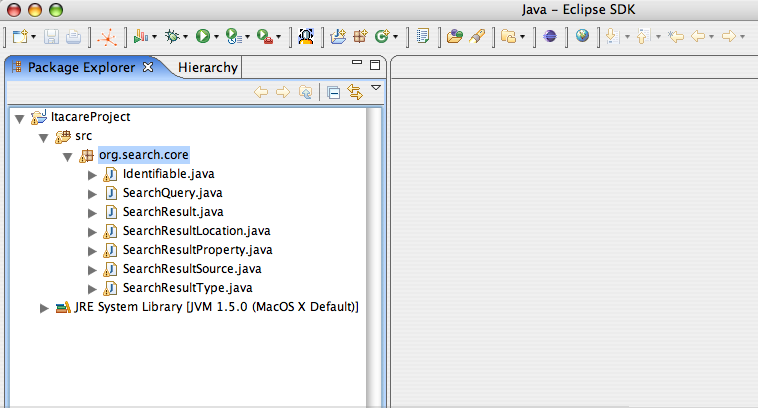 After installing Eclipse and ECF, verify that they are all available in your Eclipse environment. 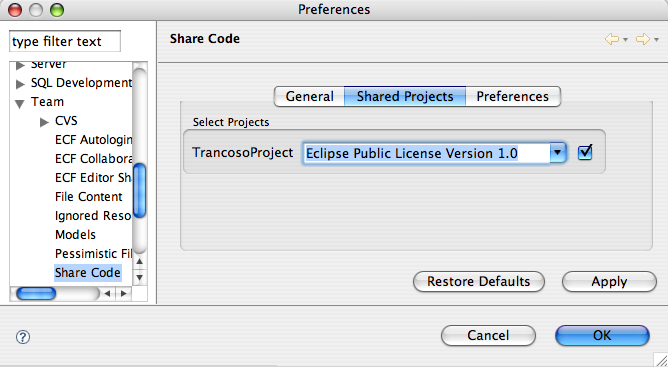 CD to the Eclipse features directory. 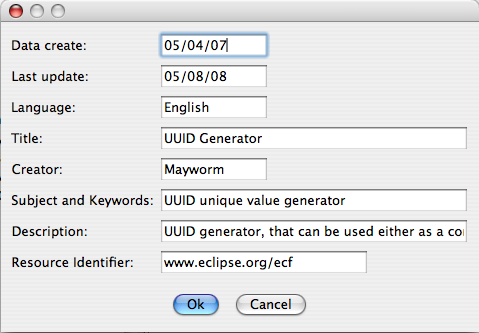 CD to org.eclipse.ecf.serverfeature_X.X.X\bin directory (X.X.X is the ecf version number). The default settings are fine for now. 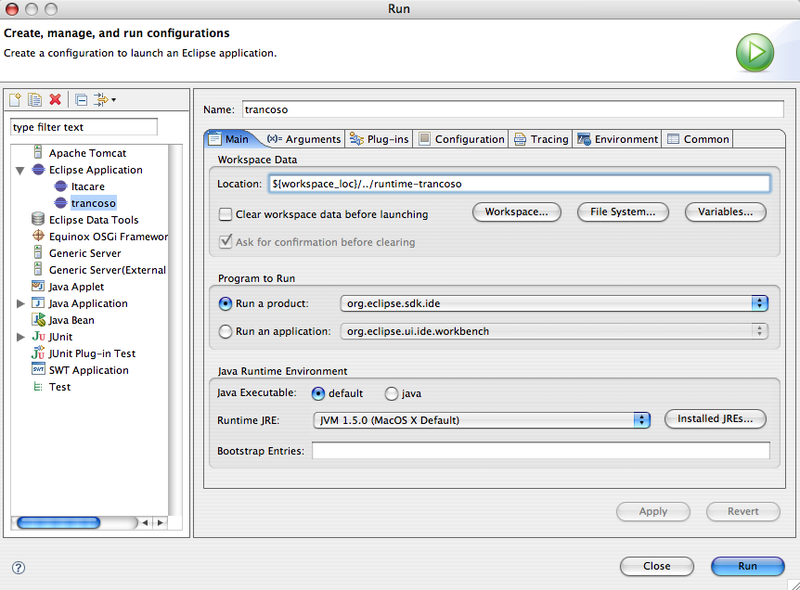 For this demo, it's necessary to use two or more Eclipse instances. 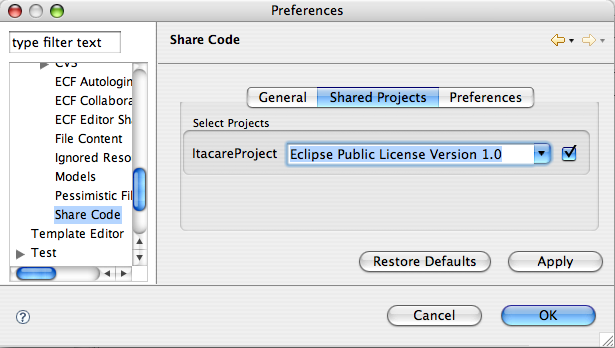 I will use only two Eclipse instance(Itacare and Trancoso). Make sure to use different workspaces, because this demo is on the same machine. Click on the Run->Run, change the launcher name to "Itacare"
Click on the Run->Run, change the launcher name to "Trancoso"
Adjust workspace data as necessary. You need to setup different "Location" to each Eclipse instance, and each instance needs to point to the same ECF server. 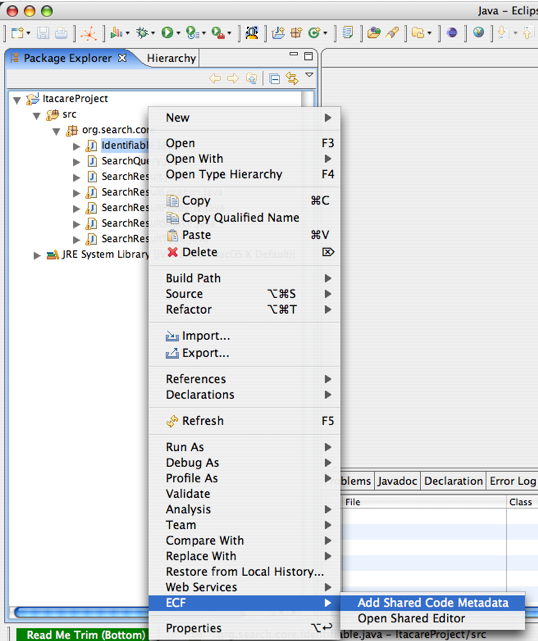 After this actions, you are able to search for remote source code. SCP will search for Java files in the Itacare instance. If it matches on the search term, it sends the match to Trancoso instance and shows the result in the Share Code view. 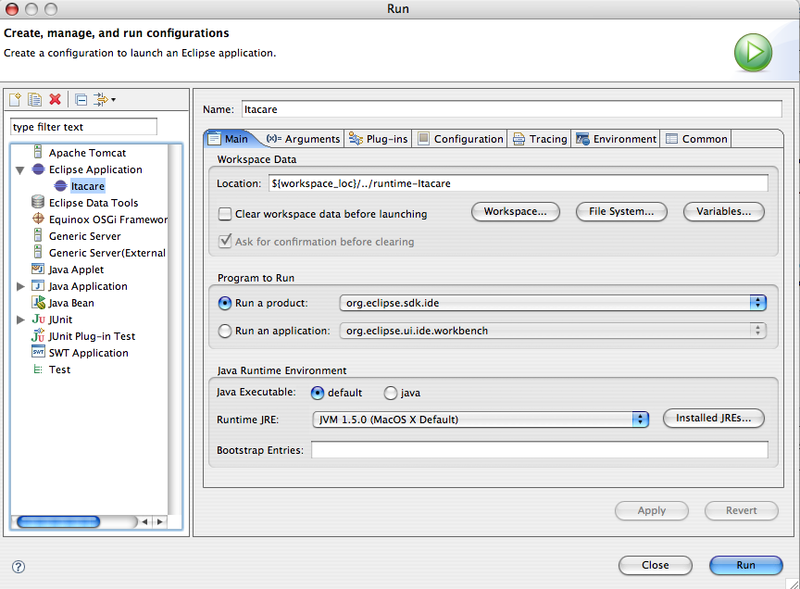 Now you need to make a double click on any row to see the Java file on the Eclipse Java Editor, or if you prefer, you can drag a table row to the editor area will open the associated Java file in the editor. A Shared Code metadata is like a yellow sticky note stuck to a Java file. 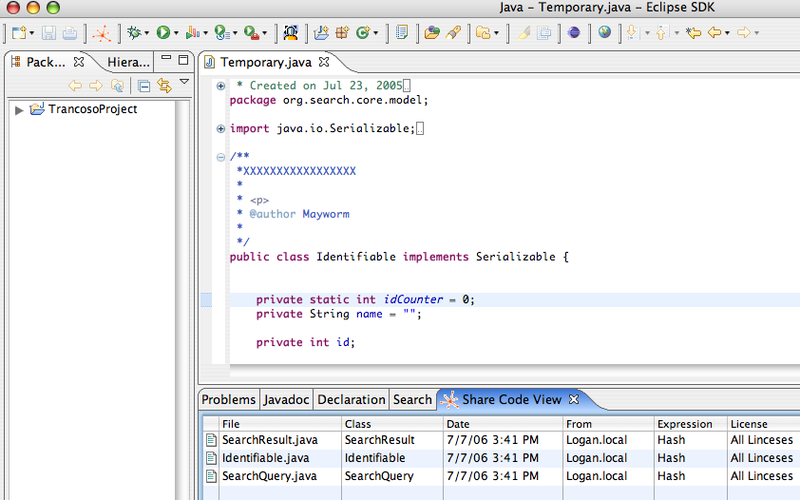 On the Shared Code metadata you can record information about a Java file(See Candidate_Metadata). 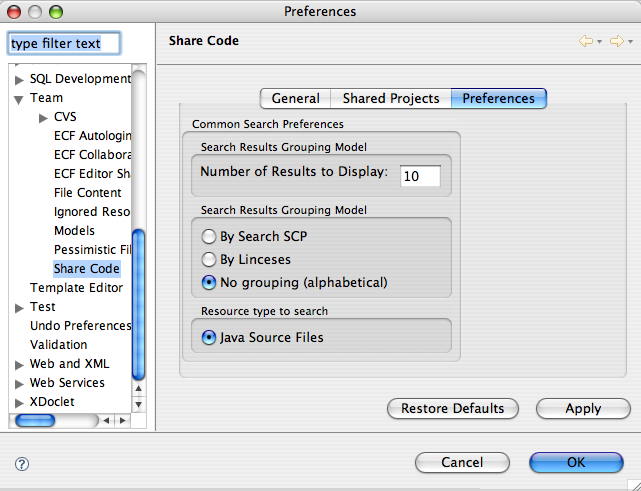 Users can use Shared Code metadata to search Java files. These Shared Code metadata can also be shown as items in Shared Code metadata view.